With each exhibition stop on Our Linen Stories Tour we have included books of relevance to each locality in addition to the key texts presented in the core exhibition. 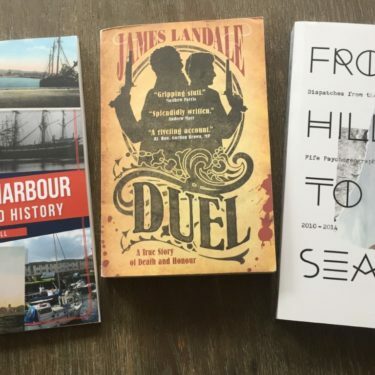 In Fife we are delighted to feature three books: ‘Duel’, ‘From Hill to Sea’ and ‘Kirkcaldy Harbour’. ‘From Hill to Sea’ (Bread and Circuses, 2015), is a collection of wonderful walks, pictures and words by Fife Pscychogeographical Collective, a liberating, radical celebration of walking and walks in the extraordinary county of Fife. 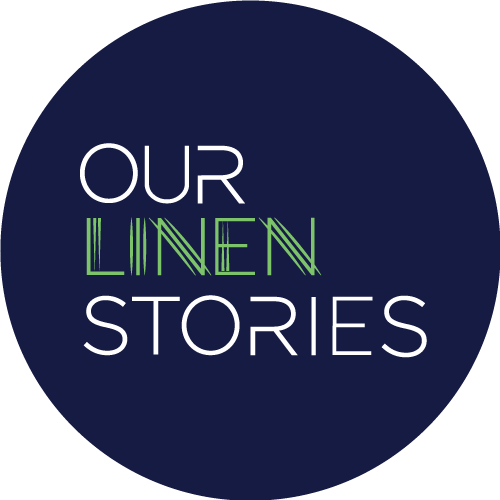 As a special enhancement to our own presentations, we are delighted to collaborate with OnFife Archive and Family History to create Our Linen Library from items that would otherwise be in store, made available for you to enjoy at our Merchants House venue.